STUDY: Dark Money Funds 40% Of Congressional Ads - Joe.My.God. Secret donors financed more than four out of every 10 television ads that outside groups broadcast this year to influence November’s high-stakes congressional elections, according to a USA TODAY analysis of Kantar Media data. 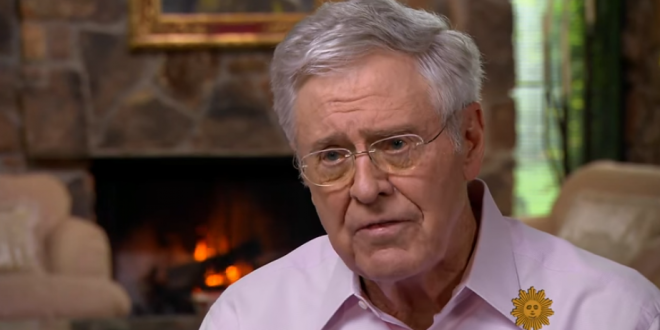 Leading the way: organizations affiliated with billionaire industrialist Charles Koch, whose conservative donor network plows hundreds of millions of dollars into politics and policy debates each election cycle. Two Koch-affiliated groups account for more than one-quarter of the House and Senate advertising from groups that don’t disclose their donors, according to a tally of broadcast ads tracked by Kantar Media’s Campaign Media Analysis Group.